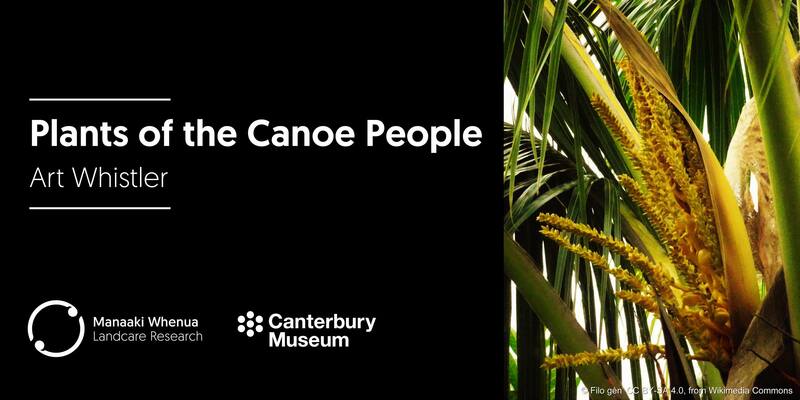 Pacific botanist Art Whistler returns to Christchurch to speak about plant taxonomy and ethnobotany in the Pacific islands: Plants of the Canoe People. Art has recently completed the Flora of the Tokelau (2018) and is currently completing the Flora of Samoa and a comprehensive book on the ethnobotany of Polynesia. His five decades of interest in the Pacific flora began during his three-year stint in the U.S. Peace Corps in Western Samoa (1968–1970), where he taught high school biology, and latter attained his Ph.D. in vegetation ecology in 1979. This training led him to study the vegetation of western Polynesia, and resulted in the publication of The Samoan Rainforest. Expanding from vegetation ecology, he worked as an ethnobotanist at the National Tropical Botanical Garden from 1983 to 1992. In that capacity and later on his own, he published three books on the medicinal plants of the islands, including Polynesian Herbal Medicine (1992), Tongan Herbal Medicine (1992), and Samoan Herbal Medicine (1996). He also published several books and articles on the ethnobotany of the islands, including two books, Plants in Samoa Culture (2001) and Plants of the Canoe People (2009), which will be the topic of his lecture. Additionally, he published books on the native and invasive plants of the islands, including Wayside Plants of the Islands (1995), Tropical Ornamentals (2000), Rainforest Trees of Samoa (2004), and the Flora of Tokelau (2018). He is currently finishing the Flora of Samoa, and is working on a comprehensive book on the ethnobotany of Polynesia, in between his consultant work under the company name Isle Botanica in Honolulu. Canterbury Museum and Manaaki Whenua – Landcare Research are co-hosting Art and we warmly invite you to register. Places are limited. Afternoon tea will be served after the talk.